Full disclosure: I wrote The Avengers for seven years, and Captain America’s own title, and the Vision and the Scarlet Witch’s. So I can probably claim to know the Avengers. And in my opinion, the new Avengers film is a good example of what and who they are. Not a perfect example, and so I’ll pick some nits, but in general, your feeling for this film is a pretty accurate reflection of what you’d feel for the group in this stage of their comic book life. I speak of “this stage” for two reasons. One, because the group has made a hallmark of evolving, and two, because what they’ve evolved into in the current books is very different from this, so running down to your local comics store will give you a much different experience. It won’t necessarily be worse or better, but it will be different. No, I’m talking about the team when their line-up at the end of this film is what it was. 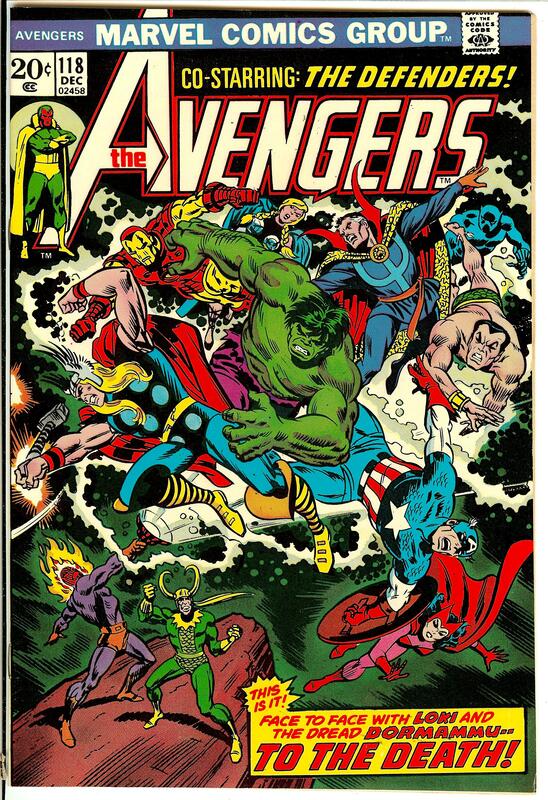 See, Stan Lee and Jack Kirby created The Avengers by putting their most important heroes together, an idea that had been done by nearly every publisher with enough heroes to justify such a thing. 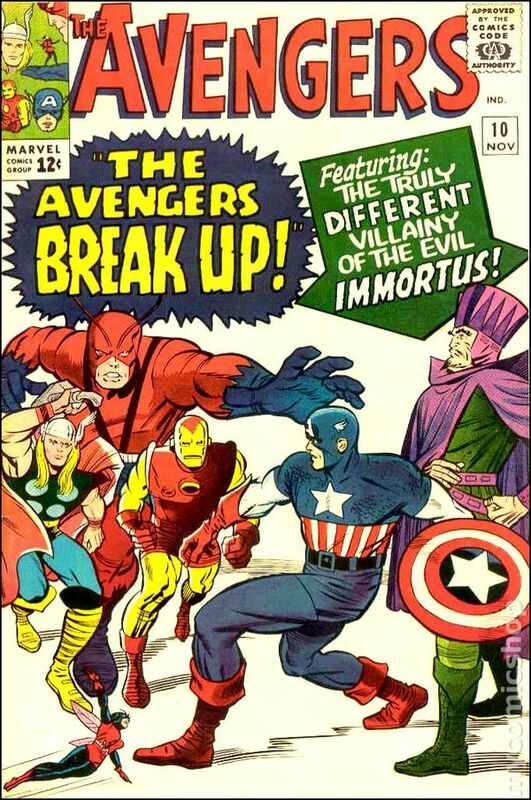 At Marvel in 1963, the line-up consisted of Thor, Iron Man, Ant-Man, and the Hulk. By issue #3, the Hulk was out, and with #4, Captain America was found frozen in WW2 ice. So Earth’s Mightiest Heroes were off and running. But the reason Stan and Jack were who they were is, they found that telling stories about guys who all appeared in their own series was constricting. They couldn’t make The Avengers get past a certain point, and so they tossed out everyone but Cap and replaced them with extremely minor characters—no, minor villains : Hawkeye, the Scarlet Witch, and Quicksilver. The conceit was, Cap was going to mold these three into heroes, but really, what an editorial decision to ditch your big-sellers. So for a guy who’s written a lot of Avengers stories, this movie gets the feel of the group right. The movie heroes, Iron Man in particular, are somewhat different personality-wise, but the heroic sides of them mesh with the same vibe. Where I mark the film down a notch is in the personal interactions of the heroes; these got somewhat short shrift in the midst of a summer blockbuster. Obviously, some such interactions are played out on screen, as would have to be the case to have a hope of being The Avengers, but only between certain of the characters. In the best Avengers runs, every member gets his due vis-à-vis every other member, so that the reader/viewer is personally invested in each before the battles start. This can certainly be seen as slowing things down in a superhero blockbuster, but it’s part of this group’s genetic makeup—and to be fair, it’s certain that some twenty minutes and probably more was cut from the final release to bring it in at a reasonable length, so quite possibly, some of this ended up on the cutting room floor. (Not to be reassembled until the DVD release, of course.) Thor’s descent into the dreaming pool apparently led to an extended sequence with Loki, which was excised completely. So all the evidence is not in on this. But I’d have liked to see Wanda and Pietro talking twin to twin about their transition from villains to disillusioned heroes, rather than simply announce it. We turn, then, to the flip side: the battles. Once again, on the level of their percentage of the story, I pronounce them only slightly excessive. Their color, their adrenaline buzz, all that felt just about right in the overall scheme of a comic book story. I personally was never as much interested in the battles as the people battling, but I put battles in every issue, and happily, because that’s what superhero comics are about. The nit here is this: when I did a battle, I usually left it to the artist to devise, because here’s his chance to go nuts. I used battles for character bits but I wouldn’t choreograph them. Still, as choreography pieces by the artist, we saw comics battles unfold clearly, panel by panel. The heroics of an individual Avenger, and those of the group, were plain to see as the focus shifted. I spoke of the reader being invested in the people, and that investment pays dividends when the people are fighting for their lives. In the film, the general technique is to make the scenes as dynamic as possible—far more dynamic than can be captured by still pictures on a page. This is the accepted technique for action films these days, and not going there would probably have been nuts in the proverbial blockbuster. Still, the short-attention-span nature of the screen fights, with all the jagged cuts, leaves you pumped up and knowing the team fought a team of robots or whatever, dynamically, but without being able to focus on all the individual battles for any great lengths of time. Dynamism has little ebb and flow, and that, I submit, is a real loss, a place where movies and comics are not the same. One type of action has been substituted for another, and they’re not equal. Movie action, no matter how much CGI is thrown at it, lacks the stark grandeur of comics art. It’s a high with no lasting memories. And that does fundamentally change the experience in a comic and a movie. But as a big-ticket superhero movie, that’s what you do, and it didn’t throw the overall dynamic too out of whack. I just wanted to see more deeply into the fights. But nits picked, I enjoyed the film. I do happen to know the Avengers in that film and that was pretty much them. Click here to read Steve’s EatDrinkFilms piece about creating the adult Batman strips that inspired Tim Burton’s Batman, starring Michael Keaton. Steve’s website is a treasure trove of stories and images. We urge you to find Steve’s comics and graphic novels at independent comic and bookstores, or to order them through our affiliate relationships with IndieBound or Amazon. This entry was posted in Films, Films: Reviews, Uncategorized and tagged Marvel, Steve Englehart, The Age of Ultron, The Avengers. Bookmark the permalink.